The number of newly listed homes for sale in Stockton rose to 696, a slight increase vs 693 in September. This marks the 8th straight month were the amount of newly listed homes increased. This is great news for home buyers who have struggled to find homes in the past few years. The inventory of homes have been at record lows in the past few years, so this is a welcomed sight to see for those looking for just the right home to buy in Stockton. 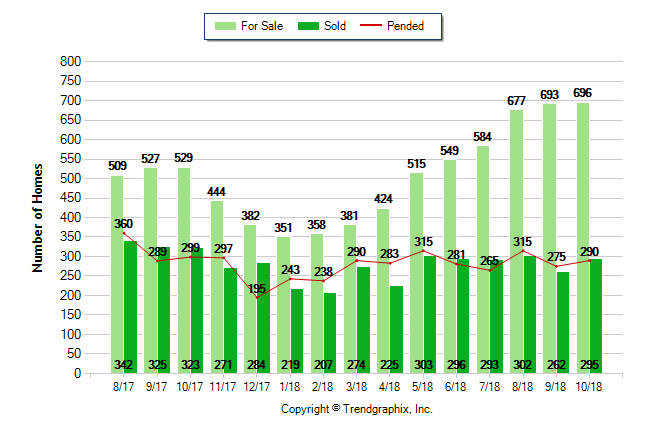 Another positive sign for the Stockton Real Estate market is the pending sales also rose in October of 2018. Up 12% from September 2018. The average sold price in Stockton California in October 2018 was $324,000. Up from September 2018 which saw the average home sold price in Stockton at $315,000. However, the average price trends in Stockton are a Neutral trend. 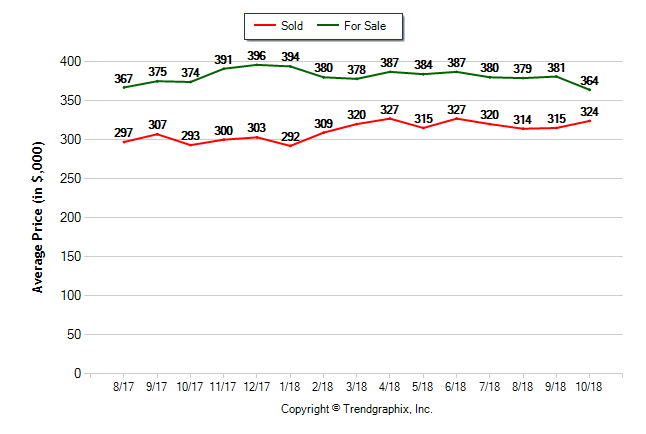 As you can see from the chart above, him prices have level off since it reached the $320,000 level in March of 2018. David is a Lodi Association of realtors Master Clubs award winner and has been voted the 2017 & 2018 Realtor of the year at the Best of San Joaquin County Awards.